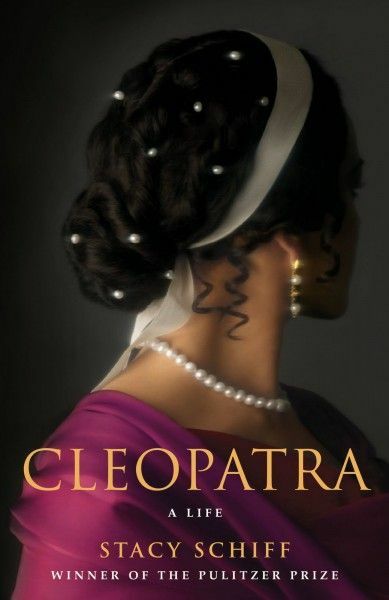 Screenwriter Eric Roth (Forrest Gump) is currently in talks to pen the epic Cleopatra, which focuses on the Egyptian queen. Angelina Jolie is attached to star, David Fincher is circling the pic as a directing vehicle, and uber-producer Scott Rudin (The Social Network, No Country for Old Men) is producing. Needless to say, this is shaping up to be one hell of a prestigious production. Variety reports that while no formal deal is in place, Roth has been approached and is likely to begin writing in the next several weeks. The scribe has a relationship with Fincher, as he penned 2008’s The Curious Case of Benjamin Button, and recently adapted this December’s awards contender Extremely Loud and Incredibly Close for Stephen Daldry. Hit the jump for more, including the likelihood of Fincher actually signing onto the project. Fincher’s involvement was first reported back in March, and he hasn’t commited to the project just yet. He’s currently busy finishing up The Girl with the Dragon Tattoo which opens next month, then he’s got a couple of things to consider. Firstly, he’s committed to directing the pilot of the drama series House of Cards starring Kevin Spacey for Netflix. That’s expected to shoot in the spring. Then he’s also committed to directing his 3D remake of 20,000 Leagues Under the Sea. Additionally, screenwriter Steven Zaillian has already been hard at work on The Girl Who Played with Fire, and should Dragon Tattoo be a hit (which I’m fairly certain it will be), Sony will undoubtedly want to get the sequel moving as quickly as possible. So, as you can see, the possibility of Fincher directing Cleopatra comes down to scheduling. Both Cleopatra and Dragon Tattoo are with Sony, the studio would most likely be willing to have Fincher do both films. However, if he chooses 20,000 Leagues as his next project and Sony wants to move forward with Cleopatra, he may have to step away. Personally, I’d love to see him take on an historical epic of this scale. With Roth just now working on the script, one presumes that Fincher could fit another film in next year before moving on to Cleopatra. The previous draft of the film was written by Brian Helgeland, who adapted the story from Stacy Schiff’s bestselling book Cleopatra: A Life. While some find Roth to be a bit too heavy-handed, I’m a fan of his work. Yes, Forrest Gump was kind of schmaltzy, but he also wrote Munich and The Insider. Cleopatra will depict the queen as a master strategist in both politics and war, and Jolie seems like a fine choice for the role. When James Cameron was attached, he planned to shoot in 3D, but it’s unknown if that’s still the plan.